Acu-aromatherapy is the use of therapeutic grade essential oils combined like a Chinese herbal formula to stimulate acupuncture points with or without needles. Reviews therapeutic grade essential oils, discusses adulteration, quality and formulation of essential oil blends. Acu-aromatherapy is not just smelling nice aromas while acupuncture needles are in. Acu-aromatherapy is the use of therapeutic grade essential oils combined like Chinese herbal formulas designed to stimulate acupuncture points with or without needles. It is a serious form of medicine. Essential oils are potent medicines which have been used in a variety of cultures since at least 10,000 BC, when drawings of stills have been found. The use of steam distilled therapeutic grade oils can have a profound effect on the body. Essential oils concentrate the essence of a medicinal plant into the oil. Rose oil requires a ton of rose petals to create a liter of essential oil. It is extremely potent, and accordingly expensive. Oils can be absorbed through the skin or through the nose. Oils applied to the bottom of the feet or the palms of the hand are absorbed into the blood stream within five minutes. Oils are sensed through the receptors in the nose, locking into the receptors and travelling to the brain within two neurons. An unbroken chain of using essential oil treatment.in medicine exists in Egypt and India. In Islamic countries essential oils have been used in lieu of tinctures because they effectively provide long lasting botanical medicine without alcohol. The application of essential oils to Chinese medicine is a modern cross-cultural phenomenon. We know that the oils affect Qi when applied to acupuncture points. The choice of acupuncture points used to treat the underlying condition is firmly based in Chinese medicine. Oils may be applied to the base of the needles after insertion or may be used in lieu of needles. Needles enhance the effect of the oils and vice versa. The choice of essential oils is also firmly rooted in the Chinese herbal tradition. The herbs used for essential oils are often used in Chinese herbal formulas. Generally speaking the oils are not used alone, but in formulas constructed to do such things as to tonify Spleen Qi or to subdue Liver Yang Rising. The oils are selected according to criteria that reflect Chinese herbal tradition and formulas are structured similarly with a Chief essential oil, Assistants, Deputy’s and Envoys. Oils rich in ketones tend to be better at tonifying the Kidney system while oils high in phenols tend to fight invasions of Wind Heat. Ester rich oils may regulate Qi. Therapeutic grade essential oils are far stronger than the essential oils found in a typical health food store. Typically the cheaper oils have faster distillation times which do not pick up all the constituents. Therapeutic oils are aged to reduce still notes and generally use organic herbs at the peak of their maturity. Most importantly, oils used therapeutically on the body should not have the traces of solvents used in cheaper extractions. Many common oils are adulterated. Most worldwide production of essential oils is sold as flavor and fragrance materials. 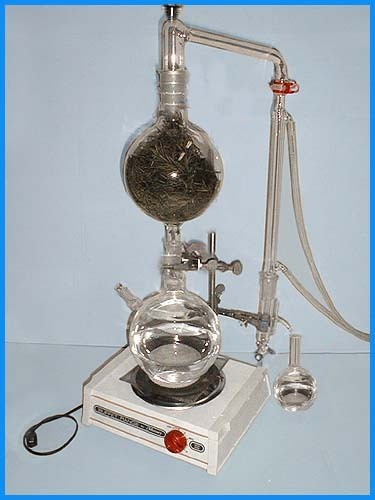 The essential oil industry has a long tradition of altering essential oils in the form of “standardization” and/or “extending” them. For instance, the world production of Lavender angustifolia oil is only 10% of the production of essential lavender oils. So-called essential oil of lavender is often made up of the more camphorated lavendin, or is adulturated with synthetic oils that only capture portions of the lavender spectrum. Poor quality and adulterated essential oils can lead to skin irritations and side effects as is often the case with synthetic drugs. Oils extracted using alcohol or hexane instead of steam may contain irritating traces of the extracting chemicals. People with chemical sensitivities may not react to essential oils but will react to synthetic fragrances. Oil of wintergreen and oil of birch are almost always adulterated with synthetic methyl salicylate. Sources of amber oil that are not adulterated are not commercially available at this time. Most Mysore sandalwood oils have been cut with cheaper Indonesian or Tasmanian oils because the old growth trees needed for the heartwood oil have been harvested. Many oils are listed as “natural identical” oils but do not contain the full balance of constituents. A whole oil contains many chemical components, some of which are present in very small quantities that cannot be identified and are known as trace elements. It is thought that these act as buffers preventing possible side effects. In botanical medicine there is not an “active ingredient” but rather there is a spectrum of compounds that balance and buffer each other towards a therapeutic end. An essential oil does not have to be adulterated to be inferior. Plant quality, weather conditions, harvest, and production technique have a lot to do with quality. Of course, environmental conditions directly effect the percentages of each component of the essential oil. Botanical variety and chemotype identification also play a part in quality determination. Even essential oils identified as organic may be missing important therapeutic portions of the spectrum. Essential Oil Therapy is complex in its healing effects and is much more than smell, it takes much more than a nose to tell if an essential oil is pure. The only way to really substantiate the purity is to analyze the oil and to compare the constituent data with previously measured standards. I purchase my oils from small companies that analyze the oils with GC-MS and ensure that growers meet appropriate standards. Therapeutic quality essential oils are generally expensive compared to commercial oils. It takes longer to extract the full spectrum of constituents, the sources of quality botanical materials are more expensive and the analysis that ensures quality is costly. White rose oil for instance will run $2533 an ounce, while an ounce of quality Eucalyptus globulus is $32. Sandalwood heartwood oil has been increasing at 25% per year. The cheaper oils from health food stores may be useful for fragrance or for diffusing, but do not have the same therapeutic value. Most essential oils will remain strong over the years if they are not diluted and are kept out of light and not exposed to air. Oils have been found from ancient Egyptian sources that still have medicinal value. However citrus oils will degrade if kept longer than a year and chile pepper oleoresins will lose their bite in two years. When diluted the oils can degrade with the carriers. Jojoba oil is a natural wax that degrades very slowly and can be used for diluted oils that last a longer time. Most essential oils can be used neat (undiluted) on small areas of the body as the French do. This is what I generally use for acu-aromatherapy. Keep a carrier oil on hand for those oils that create discomfort or for sensitive individuals. However for massage of large areas the oils should be diluted at 10-12 drops per ounce of carrier oil. People unused to essential oils should not overdo their exposure. Oils will remain in the fat under the skin for a period of two weeks. I normally draw upon over 140 different essential oils, each with different therapeutic properties. For instance I regularly use 5 types of eucalyptus oils and 7 types of lavender, and in some cases different brands of the same oil for different effects. Many aromatherapists are only trained with 30 oils altogether. With the cost of therapeutic essential oils and the complexities of creating formulas for your individual diagnosis, it pays to consult an experienced professional. Combining acupuncture with aromatheapy creates the best of both worlds. March 2nd 2005 – What is Acu-Aromatherapy?